Below is a list of all of the popes who reigned during the twentieth century. The first number is which pope they were. This is followed by their chosen name, the starting and ending dates of their reigns, and finally the number of years they were pope. Follow the links to read short biographies of each pope and learn about what they did, what they believed, and what impact they had on the course of the Roman Catholic Church. 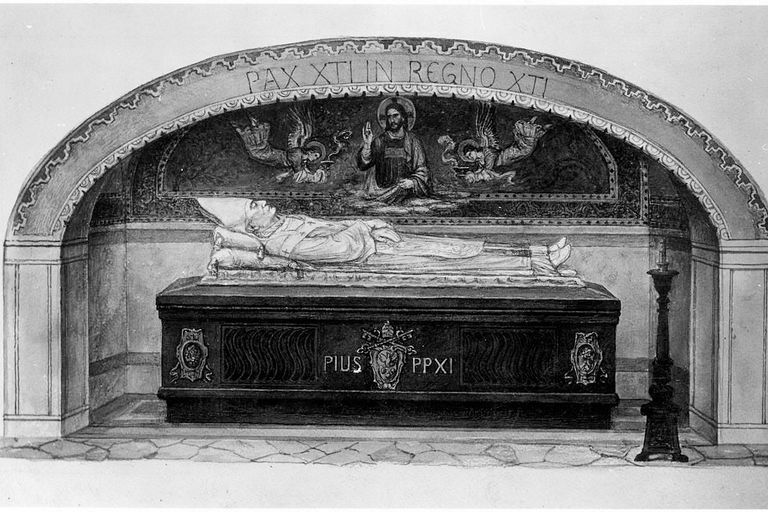 Pope Leo XIII not only ushered the Church into the 20th century, but he also tried to help improve the Church's transition into a modern world and modern cultures. He supported some democratic reforms and the rights of workers. Pope Pius X is known as a thoroughly anti-modernist pope, using Church power in order to maintain the line of tradition against the forces of modernity and liberalism. He opposed democratic institutions and created a secret network of informers to report on the suspicious activities of priests and others. Not only inconsequential during World War I because of his attempt to provide a voice of neutrality, but Benedict XV was also viewed with suspicion by all governments because of his efforts to reunite displaced families. For Pope Pius XI, communism was a greater evil than Nazism - and as a result, he signed a concordat with Hitler in the hopes that this relationship might help stem the rising tide of communism which was threatening from the East. The papacy of Eugenio Pacelli occurred during the difficult era of World War II, and it is likely that even the best of popes would have had a troubling reign. Pope Pius XII may have exacerbated his problems, however, by failing to do enough to help the Jews who were suffering persecution. Not to be confused with the 15th-century antipope Baldassarre Cossa, this John XXIII continues to be one of the most beloved popes in recent Church history. John was the one who convened the Second Vatican Council, a meeting which inaugurated many changes in the Roman Catholic Church - not as many as some hoped for and more than some feared. Although Paul VI was not responsible for calling the Second Vatican Council, he was responsible for ending it and for beginning the process of carrying out its decisions. He is perhaps most remembered, however for his encyclical Humanae Vitae. Pope John Paul I had one of the shortest reigns in the history of the papacy - and his death is a matter of some speculation among conspiracy theorists. Many believe that he was murdered in order to prevent him from learning or revealing embarrassing facts about the Church. Pope John Paul II was one of the longest reigning popes in the history of the Church. John Paul tried to steer a course between reform and tradition, often siding more strongly with the forces of tradition, much to the dismay of progressive Catholics.